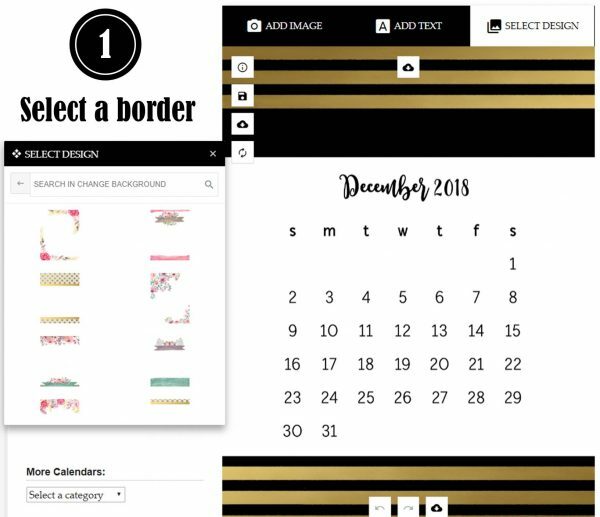 Click on the button to open our free online calendar maker. 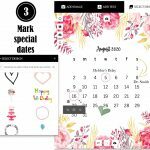 You can make your own custom calendars that you can download or print at home. 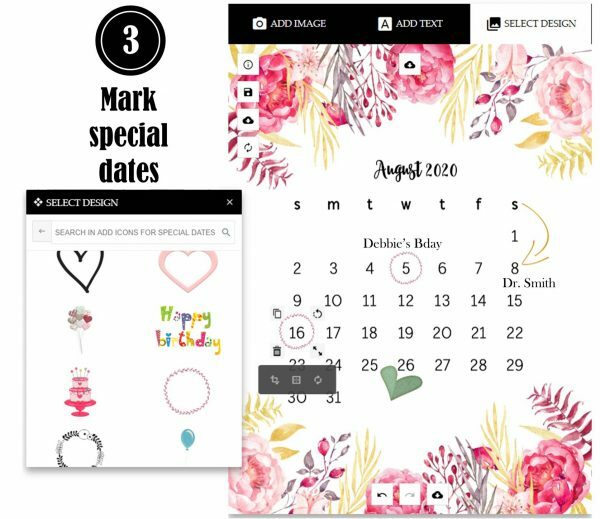 You can make your own calendar free of charge and without downloading any software. Once you have created it and customized it you can download or print. 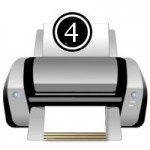 Step 1 – Select a border or background. There are 101 different calendar templates. Scroll down to select an editable calendar template and click on it to replace the sample border. Step 2 – Select a month. Once you have selected your background you can select the month. There are monthly calendars for every month from January to December for 2019 and 2020. Select the month that you would like to appear on your calendar. To see the gallery of months, either, click on the back arrow on top of the backgrounds or click on “select design” in the top right corner. On some of the borders you might need to drag the calendar to a different position or make it slightly smaller. To move the calendar, just drag it with your mouse. You can place it anywhere you like. To change the size, click on the two arrows in the bottom right corner and drag it to the right or left to make it bigger or smaller. To change the color of the calendar, click on the little black square under the month and select a color. Step 3 – Mark any important dates. 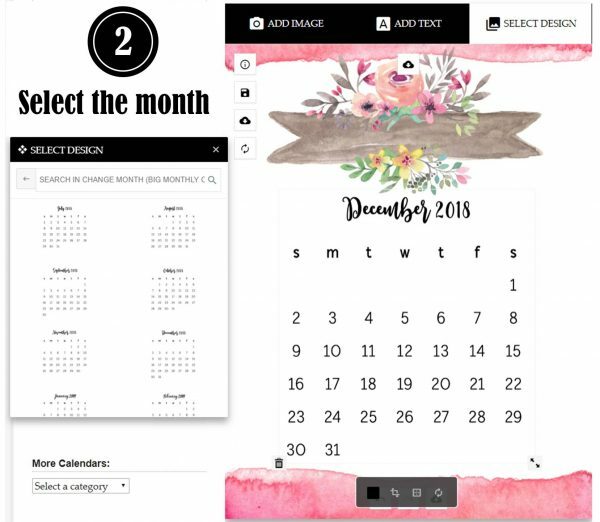 Our custom calendar maker enables you to create an editable month calendar without downloading any software. You can edit a calendar by marking dates with icons or text. For example, you can add a birthday icon to mark a birthday or a heart to mark an anniversary. You can also just click on “add text” and write whatever you want. There are many icons available such as arrows, markers, hears, balloons and other icons. You can also upload your own images. For example, if you want to add someone’s photo on their birthday date you can click on “add image”. You can also use our photo calendar templates for this purpose. Step 4 – Click on the “instant download” icon to download your calendar. You can download it as an image (jpg or png) or as a PDF document. If you want to create a full yearly calendar then repeat these steps for each month of the year. 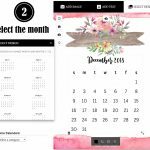 You can make a calendar in one design or you can use a different calendar template for each month. We also have calendar covers if you want to create a calendar booklet with a cover page.